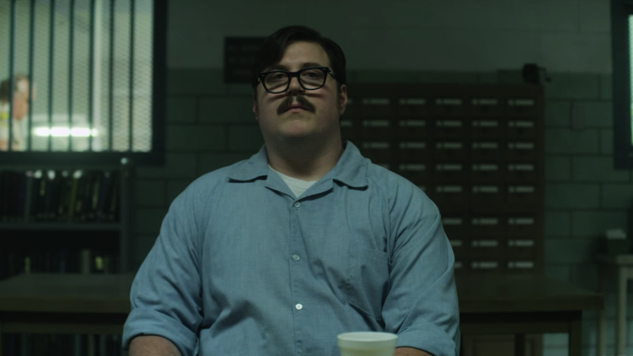 It’s plain to see while watching Mindhunter that Cameron Britton, the man charged with depicting real-life serial killer Ed Kemper, was going to be the show’s breakout star. Britton’s performance captures Kemper’s charisma and intelligence, as well as his chilling bloodthirst, stealing the Netflix show despite his limited screen time. The Girl in the Spider’s Web stars Claire Foy (The Crown) as Lisbeth Salander, who was played in previous films by Rooney Mara and Noomi Rapace. Sylvia Hoeks (Blade Runner 2049) stars as Salander’s twin sister, with Claes Bang (The Square) depicting the film’s villain. Fede Alvarez (Don’t Breathe) will direct. Steven Knight penned the screenplay for The Girl in the Spider’s Web alongside Alvarez and Jay Basu, basing the script upon the book of the same name by David Lagercrantz, who continued Stieg Larsson’s Millennium series after the author’s death. The Girl in the Spider’s Web begins shooting in January in Berlin and Stockholm, opening in theaters on Oct. 19, 2018. Mindhunter is now streaming on Netflix. Read our exploration of Mindhunter’s place in David Fincher’s oeuvre here, and see how close Britton came to capturing the real Ed Kemper right here.